Python headlines delivered directly to your earbuds. Python Bytes is a weekly podcast hosted by Michael Kennedy and Brian Okken. Python Bytes podcast delivers headlines directly to your earbuds. If you want to stay up on the Python developer news but don't have time to scour reddit, twitter, and other news sources, just subscribe and you'll get the best picks delivered weekly. Have feedback for the show? Send it to contact_pythonbytes@talkpython.fm. We'd love to hear from you. I met one of the hosts at a podcasting conference and gave this show a try. I was impressed by Michael and Brian's deep knowledge, friendly manner, and easy style. The program reminds me of one of those coffee talk shows on a small town AM radio station where you can find out everything that's going on in a community. This is how I get the newest python news each week. Do you love the show and want to tell the world? Send us a review or post one on iTunes. Thanks! We are always on the look out for topics to cover on Python Bytes. We could use your help! Do you have a great idea or item to feature on the show? Send us an email! We have a wide and growing set of courses for all levels of Python experience. Whether you are interested in getting started with our Python Jumpstart by Building 10 Apps, getting into the zen with Write Pythonic Code Like a Seasoned Developer, or dropping SQL and picking up MongoDB with our MongoDB for Python Developers course, we have something for you! 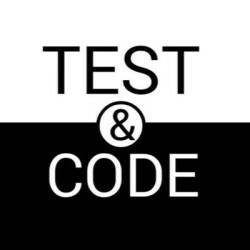 For Python-based projects, pytest is the undeniable choice to test your code if you’re looking for a full-featured, API-independent, flexible, and extensible testing framework. With simple step-by-step instructions and sample code, this book gets you up to speed quickly on this easy-to-learn and robust tool.